Do you have lots of leftover batting? Do you have nothing to do with all that orange fabric? 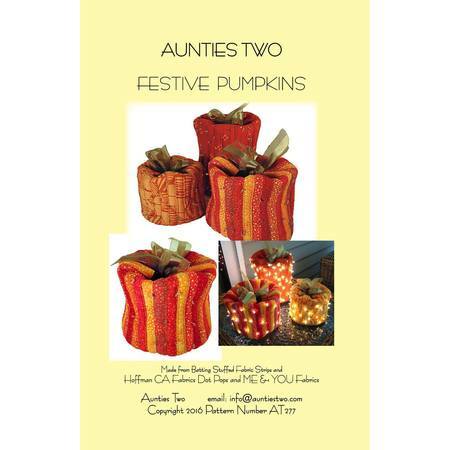 Well, with the Festive Pumpkins pattern designed by Carol McLeod from Aunties Two you can make wonderful pumpkins to add to your holiday decorations. They are very easy to make and can be decorated with buttons, beads, crystals, or tiny fairy lights! This pattern also includes a QR code that links directly to instructional videos to help you bring these pumpkins to life! Makes three different size pumpkins including: Small 4" x 5", Medium 5" x 6", and Large 7" x 6".